It seems like every day there is a new casino in AC declaring bankruptcy or closing its doors to gamblers. With tremendous debt burden and the competitive casino market straining to turn a profit, many casinos are doing anything to avoid the downward spiral. In the last decade, 26 casinos opened in Pennsylvania alone, creating a distinct challenge for New Jersey to compete with casinos offering close-to-home convenience. Especially with the addition of online outlets that don’t require leaving home, New Jersey is no longer a place gamblers need to travel consistently. Complimentary hotel stays may fill casino penny slot seats but to gain a substantial advantage, resorts need to begin to consider reevaluating their purchasing process during slumps like the present. For the casinos that are still hanging on, reducing operating costs may not spare a declining gambling market, but it can allow a rise above stressed competitors. Whether it’s surrounding hotel amenities, marketing and advertising, or casino floor machines and equipment, casino purchasing managers have the potential to widen their budgets while strengthening supplier relationships through enabling a thorough strategic sourcing initiative. The same cost savings and relationship reinforcement can be extended to food entities within casino resorts to source quality, cost-efficient ingredients, supplies, and staff. Through granting this visibility into total spend, some of the discrepancies within casinos’ control can be addressed. According to the American Gaming Association, the commercial casino industry has been a long-time proponent of diversity in all aspects of its business, from internal hiring and human resources policies to purchasing and contracting practices. Since many casinos seek suppliers who employ staff of diverse backgrounds, a supplier diversity program may aid in consolidating those needs in a way that can prevent overextending budget to achieve a certain level of diversity spend. A comprehensive supplier diversity program can not only help a casino to be ethically bound, but also improve their bottom line while realizing undiscovered suppliers. After establishing selection criteria and training around acquiring diverse suppliers, the benefits of maintaining these relationships can be realized. Especially following the release of the luxurious Revel casino’s closing, investors and gamblers alike remain skeptical about the future outlook of Atlantic City. "Atlantic City is undergoing a massive economic transition," Atlantic City Mayor Don Guardian said at a news conference. "We know it is painful for those who are losing their casino jobs." Liza Cartmell, chief executive officer of the nonprofit Atlantic City Alliance, was a bit blunter. "Recent developments in Atlantic City are part of the larger picture of excess gaming across the United States that's leading to painful economic decisions," she said. 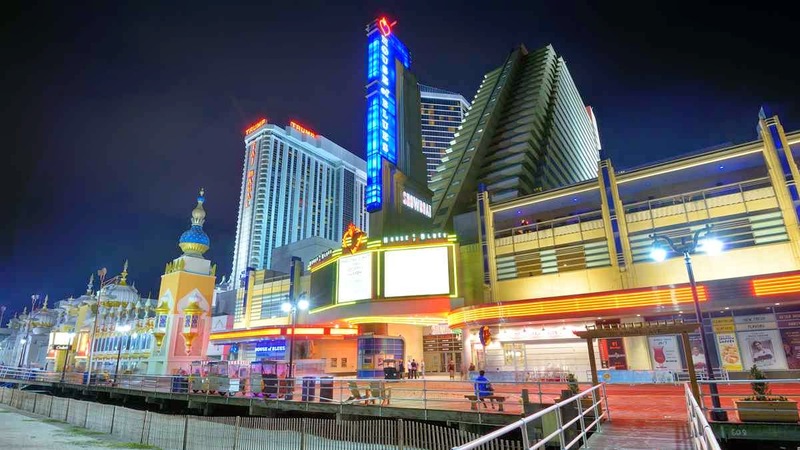 Although the failure of casinos in New Jersey is tied into the government and some uncontrollable forces, the remaining resorts can be strategic in how they stage their operations going forward. With limited projected future growth in AC, casinos that employ strategic sourcing and supplier relationship management have the opportunity to remain competitive in a struggling industry.